The extraordinary new Spalet from Grohe is an exquisite development in cleanliness, hygiene and convenience. With the advance of technology comes heightened expectations of self-care rituals, so Grohe have applied this evolution to their design of this new sanitary care product. Ideal for all luxury bathrooms to add a sense of sophistication alongside the primary function to provide a cleansing experience that takes daily rituals to another level. The cleverly designed Spalet offers hands-free cleaning with nature’s purest cleaning agent, water. 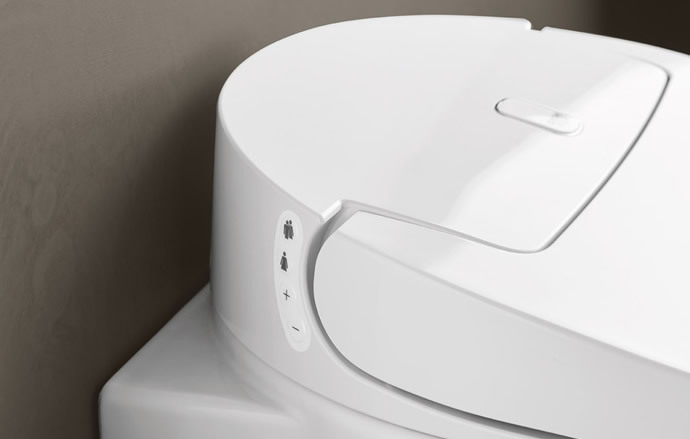 The adjustable arm integrated into the toilet gives precise, gentle cleaning with functions that can be tailored to the person using it. The spray pressure, arm position and water temperature can be managed from either the remote control or a smartphone app, making use of the bidet function both easy and convenient. You can set your own personal profile to make using the feature even easier and effortless. Using toilet paper can be harsh on skin and often isn’t quite adequate to make you feel clean and refreshed. Chemical-infused wipes or other products are often causes of irritation, again unkind to the skin, so using fresh warm water is the best way to ensure you’re naturally left feeling fresh and scrupulously clean. Personal grooming has been taken to new luxurious heights where you can feel secure and comfortable using this revolutionary technology to transform even the most intimate of cleansing acts. 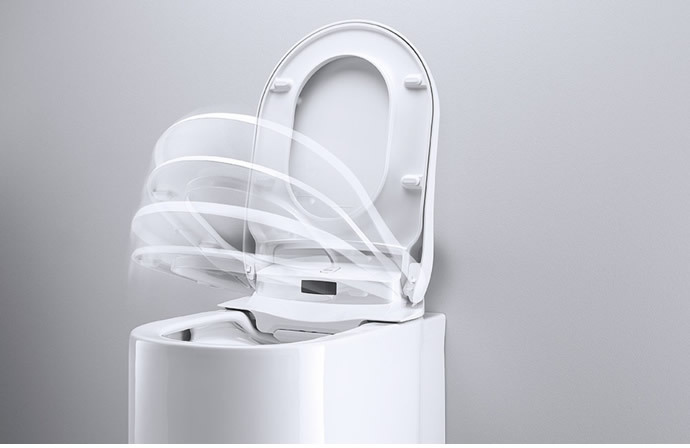 The Spalet uses innovative technologies to ensure keeping your toilet maintained requires very little effort. The design of the bowl is rimless, to ensure there are no corners in which dirt can build up. The special ceramic used repels bacteria and stains thanks to its extremely smooth surface, while a powerful flush ensures the entire surface is swept with water- despite having a remarkably low water consumption. 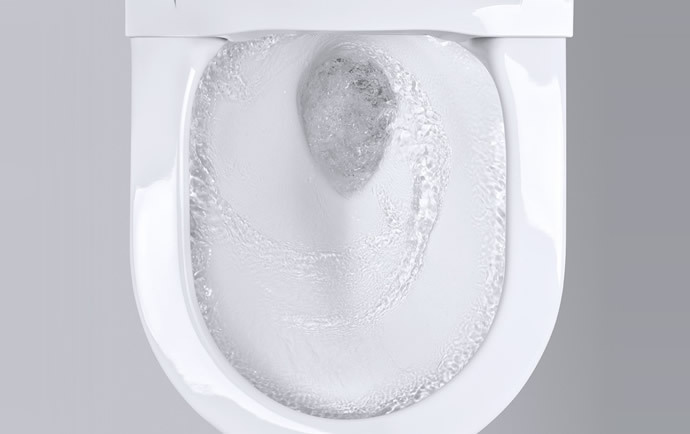 The system flushes from three outlets, using just 5L of water for a dual flush and 3L for a short one. In turn, the style of the Spalet is simple and elegant, a fitting reflection of how the product transforms uses innovative technology to transform your most personal of daily self care tasks. The smooth lines and curves are ageless, a classic yet modern addition to any new build or high end refurbishment. This entry was posted in Grohe Spa, Luxury Bathrooms, New Products and tagged Grohe Spalet. Bookmark the permalink.